We hope all of you are well and your Dojo are in a good progress. Kazuyuki Hasegawa Hanshi and Vice-President Daigo Oishi Hanshi, together with other high grades Japanese Instructors. 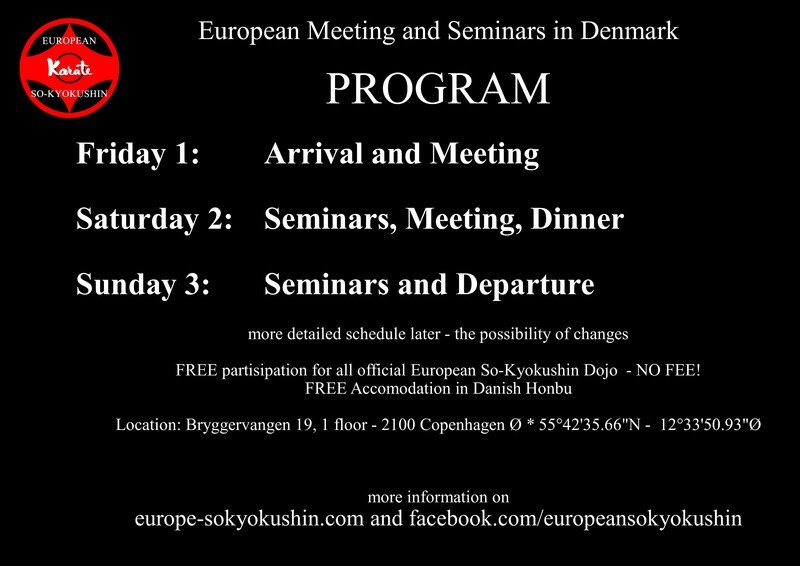 It is an honor for Europe to be able to receive both our leaders and all Dojo representatives should feel obliged to participate. Yes, please give me all information reg. the Japanese delegation in April. Also dinner all together will be arrange. Agenda and Program will be send out first week of February 2016. 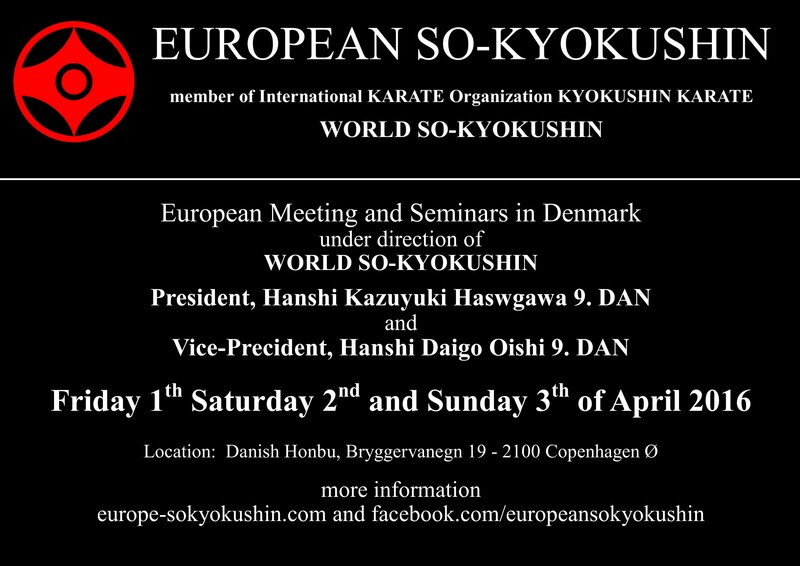 Please follow the new European So-Kyokushin Facebook and Website (link below) both of which are sanctioned by the World So-Kyokushin. If you have any suggestions or questions regarding this Conference, please don´t hesitate to write. Deadline for the Agenda is 31. January 2016. We wish all a Happy New Year and look forward to cooperate with you in 2016.